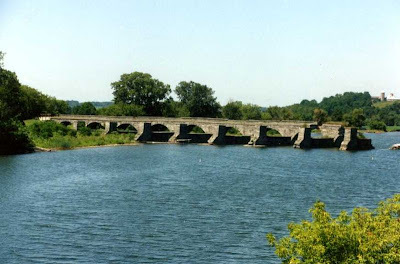 Schoharie Crossing State Historic Site in Fort Hunter (Schoharie County) will be hosting the 28th annual Canal Days Celebration on Saturday, July 14 and on Sunday, July 15, 2012 from 11:00 am to 4:00 pm. Admission and parking are free. Canal Days is dedicated to the historical significance of the Erie Canal and its impact on New York State. 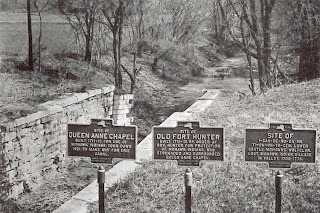 However, due to damaged caused by last fall’s Tropical Storm Irene and the unearthing of the remains of Fort Hunter for its 300th anniversary, there will be an archaeology theme and a focus on Schoharie Crossing’s earlier 18th century history as well as the 19th century canal history. The Schoharie Crossing Visitor Center will be open for the duration of the events which includes the “Little Short of Madness” and “Celebrate 300! 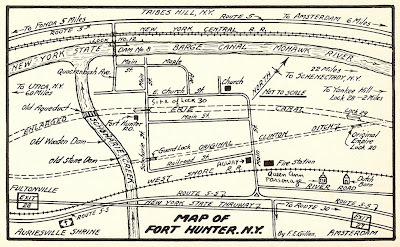 : Centuries of Fort Hunter History and New Discoveries” exhibits. Michael Roets will be conducting a live archaeological dig throughout the weekend with the ongoing potential of new discoveries. Topics in archaeology will be addressed throughout the weekend with special talks and walking tours in prehistoric, industrial, landscape archaeology and cemetery restoration. Other history related activities include Joe Doolittle presenting stories about the Mohawk Valley on Saturday, David Cornelius presenting information about Mohawk Lifeways on Sunday and Beverly Cornelius doing basket weaving demonstrations on Sunday. Both days the Circuit Spinsters will be demonstrating fiber arts such as spinning and weaving. On Saturday, the Veeder Guitar Jazz Duo will perform from 11:00 am to 12:15pm. The Dependants will follow performing from 1:00 pm to 4:00 pm. The Dependants are the hottest young pop/rock band around, having won Montgomery County’s 2010 Battle of Bands. Also all the members are under the age of 19. On Sunday Eric Marczak will perform Native American flute music from 11:00 am to 12:15 pm. Sunday afternoon will feature the bluegrass band Dyer Switch from 1:00 pm to 4:00 pm. Children’s Activities include a petting zoo and pony rides from Dream Pony will be set up both afternoons. Also a Native American Kids Craft tables will feature four different Native crafts for children aged 4 to 13, each craft will be $3.00 from noon to 3pm each day. Sparkles the Clown will be stilt walking and juggling on Saturday. There will be a reptile display and on Sunday magician Evil Dan will be on hand. Also, the Tri-County Power Association “Field Days” will have Old Time Steam and Gas Engines on display with demonstrations of antique agricultural and household machinery both days. Cheryl Bielli will be available both days to draw caricatures. Food such as hot dogs, hamburgers, sausage, fried dough, fresh squeezed lemonade, and ice cream will be available. There will be a silent auction under the Friends of Schoharie Crossing Tent on Sunday. Canal Days is sponsored by the Friends of Schoharie Crossing, the Montgomery County Board of Supervisors and the Occupancy Tax, and the Erie Canalway National Heritage Corridor. For more information about this alcohol free event, call the Visitor Center at (518) 829-7516. Photo: Schoharie Aqueduct, showing the canalway (Courtesy Wikipedia).